FRANKIE GAVIN and Liam Ó Maonlaí will headline Éigse an Spidéil 2017, the village's annual arts festival, which has been running for more than 30 years, and which runs from Thursday March 2 to Sunday 5. Ó Maonlaí will give the premiere performance of 'An tEarrach Thiar', a song cycle based on 12 Máirtín Ó Direáin poems, set to music by Connemara composer/musician Johnny Óg Connolly. 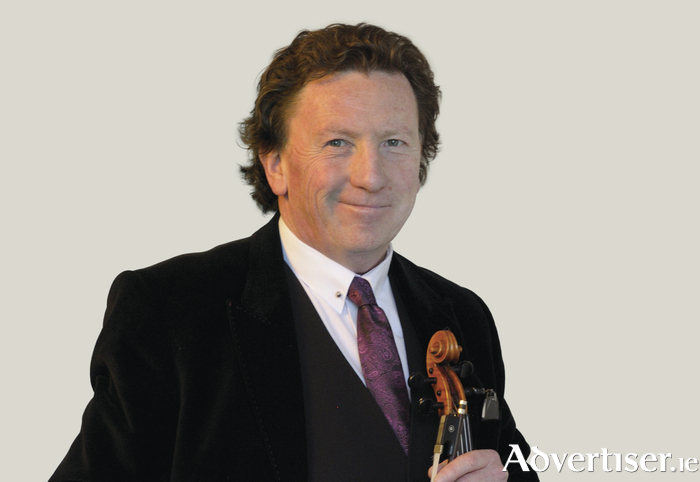 Frankie Gavin is one of Ireland's greatest fiddle players and a founding member of Dé Danann. He will be accompanied by George Grasso. Both concerts take place in the Connemara Coast on Saturday March 4 at 8pm. The festival's official launch is on Friday March 3 in Stiúideo Cuan, followed by the Ardán na hÉigse poetry event, with readings from Joe Steve Ó Neachtain and others. Concertina player and composer Caitlín Nic Gabhann will be the guest composer. On Saturday 4, the annual singing competition for young vocalists takes place at 12 noon in Tigh Chualáin, Indreabhán, while Donegal fiddler Bríd Harper will give a fiddle masterclass at Stiúideo Cuan at 1.30pm. Sunday 5 sees the Éigse guided walk with Timín Joe Tim Ó Curraidhin, starting at Cill Éinde at 12 noon. The festival closes with a session with young musicians in An Droighneán Donn at 2pm.